Payroll Taxes go by many names. 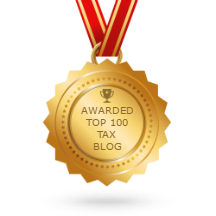 Of the ones that are fit to print in a family blog you might know them better as social security taxes, medicare taxes, FICA, or self-employment taxes. These are all accurate to a degree, but payroll taxes covers all of them, so that's how I'll refer to them. Note that payroll taxes are paid only on wages, salary, or tips. Income from (real estate) rents or investments are not subject to payroll taxes. Although, the 3.8% Net Investment Income Tax to support Medicare definitely makes this a grey area. For the majority of taxpayers - wage-earning employees earning less than $200,000 per year - payroll taxes are fairly straight-forward. You have 7.65% of your gross income withheld from every paycheck. That money is sent off to the government in exchange for the promise that when we are older there will be a retirement stipend and healthcare benefits waiting for us. If you're not in that group of taxpayers working as employees for $200,000 or less, there are some additional complexities to the payroll tax system that you should probably know. Stan is single and has two consulting jobs. ABC company pays him $140,000 per year and XYZ company pays him $175,000. Stan is required to pay the additional Medicare tax on $115,000 - the amount his combined $315,000 income exceeds the $200,000 threshold for single filers. But, neither ABC nor XYZ is withholding the additional Medicare tax from his salary. The companies' payroll departments are not aware that Stan's total income requires him to pay the additional Medicare tax. 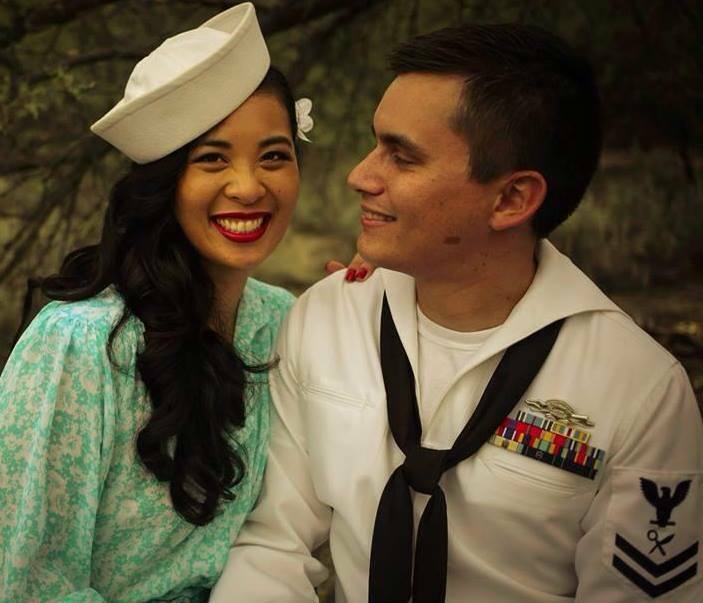 Rita and Frank are married and file jointly. Rita makes $190,000 as a lawyer at the firm of Dewey, Cheatham & Howe. Frank also earns $190,000 per year as an engineer for Wobbles Construction. When they file they will owe the 0.9% additional Medicare tax on $130,000, the amount their combined $380,000 exceeds the $250,000 threshold for MJF taxpayers. Again, neither employer is withholding the additional Medicare tax. If your employer does not withhold the tax you are still required to pay it. Your options for this are to adjust your withholding on your W-4 to account for the additional Medicare tax, make quarterly payments to the IRS, or pay it at the end of the year when you file your taxes. Be aware, however, that if you wait until the end of the year to pay it you could find yourself subject to a penalty for the under withholding of tax. People who are self-employed are required to pay both the employee and employer share of payroll taxes. When combined these are known as self-employment taxes. There is a bit of a strange formula for calculating the self-employment tax. If you just left it at 2 X 7.65% = 15.3% to cover the 7.65% paid by the employer and employee you would end up paying at a higher rate than an employed wage-earner. Instead, you need to account for the fact the 7.65% paid by the employer is never part of the employee's gross wages. 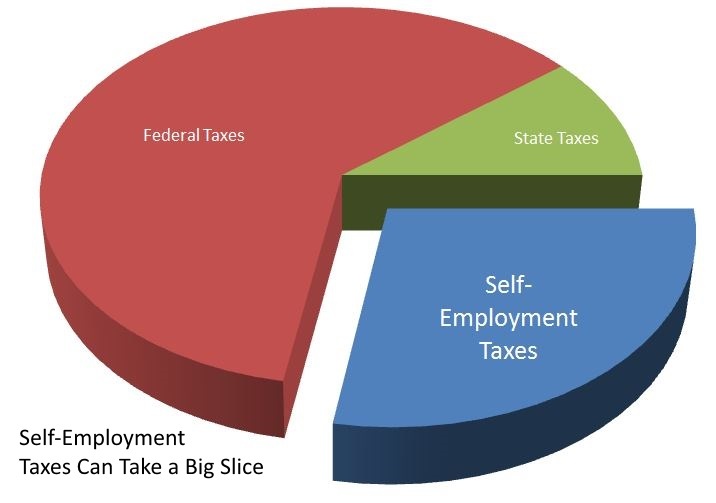 Therefore the self-employment tax rate is [15.3% X (1 - 0.0765)] = [15.3% X .9235] = 14.130%. 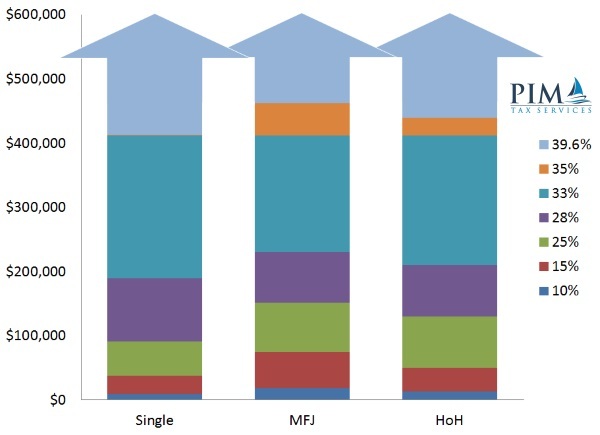 Half of self-employment taxes are also taken as an adjustment to income on the front page of form 1040. This makes sense (hard to believe sense sometimes makes it into the tax code, but in this case it did!). People who work as employees are not required to pay federal income taxes on the amount their employer pays in payroll taxes on their behalf, so it is only fair the self-employed are afforded that same allowance. One final note on payroll taxes. If you are an employer and you withhold payroll taxes from your employees, make certain you are paying those taxes to the government as required. The government takes a very stern stance on the matter. If you fail to pay your regular taxes it is considered stealing from the government, and you will pay a small penalty for doing it. However, if you fail to pay payroll taxes withheld from your employees it is considered stealing from your workers. The penalty for doing that is 100% of the tax owed and can also land you in prison. Business people are frequently creative financiers, but I would strongly caution you against getting creative with payroll taxes. It is not worth it. If you have any questions about payroll taxes, please contact me. The IRS assigns a strange relationship between tax preparers and their clients. When preparing your taxes I am allowed to believe what you tell me about nearly anything related to your return. I am not required to make you prove what you tell me about your taxes is the truth. You can tell me you purchased a giraffe as a qualified higher education expense for college, and I don't need you to prove to me that it was a legitimate expense. I can put the giraffe on your tax return and file it. My only requirement is to inform you that if the IRS reviews your return and disallows the expense for the giraffe you will have to pay taxes plus penalties and interest. Unfortunately, this IRS-allowed relationship between us could be a horrible disservice to you as a taxpayer and me as a tax professional. If I put a giraffe down as an education expense knowing the IRS is going to penalize you for it you would not be getting your money's worth out of me. You deserve the best advice possible, and to give the best advice I need to ask questions. If you tried to expense a giraffe, I would ask questions. I would ask a lot of questions. Here's why - because even though you don't have to prove anything to me, if you are audited you have to prove everything to the IRS. The burden of proof is on you. If you can't substantiate your claim for a tax write-off it will be disallowed, your tax bill will be changed, and you will owe taxes, interest, and (probably) penalties on the amount they determine you have underpaid. IRS: You deducted $2,000 for painting your rental home; where is the invoice? IRS: You claimed 5,000 miles as a business expense; show me your vehicle logs. IRS: You claimed a home office deduction; show me your office. IRS: You deducted those clothes as a work expense; show me where your employer has required you to have those clothes (and that you can't use them for anything else). If you can't prove your expenses to the satisfaction of the IRS the deductions will come off your tax return, and you will pay. I don't want you to be in that position. Not on my watch. If you are my client and I am asking you questions it isn't because I don't believe you. It's because I know what the IRS expects and I want to make sure you are able to substantiate your deductions. I am not challenging you. I am not the IRS. I don't work for the IRS. I work for you. As your advisor I want to be certain the position we are taking on your tax return is defensible if it gets challenged by the IRS. I find that out by asking you questions about your tax claims. As long as there is a reasonable basis for your claims I am happy to put them on your tax return. There's one more part to this story. I can represent my clients to the IRS in the event of an audit. 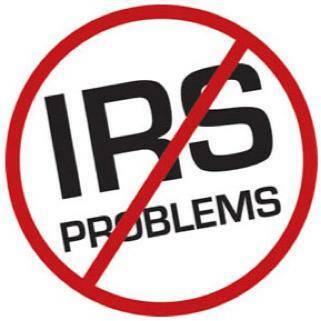 You can authorize me to deal with the IRS on your behalf, and you never have to talk to them at all. Many clients prefer to let a knowledgeable, experienced professional represent them during an audit. It makes perfect sense. The local IRS office is relatively small. Professional tax preparers in this region deal with the same IRS agents over and over. We get to know each other. Now let's suppose you are being audited and you want me to represent you. How would you want the IRS agent sitting across the table to perceive me? Would you prefer they knew me as a tax professional that dotted his i's and crossed his t's, or would you prefer my reputation among the auditors was that I'm a guy who lets his clients claim outlandish things on their tax returns without ever asking any questions? Clearly you'd want me to have a sterling reputation with the IRS while I was representing you. To have that sterling reputation it is important for me to be thorough on every single tax return I prepare. The IRS agents know if they are dealing with a true professional or some frivolous hack. If I am not thorough they know it, and I do a disservice to you and to all of my other clients who want the best representation they can get when the IRS comes knocking. IRS auditors are looking for tax cheaters and frauds. They don't want to waste their time looking at tax returns that are probably correct. If they know I am a guy who usually gets it right they don't look at too many of my returns. Conversely, if they know I am a guy who likes to "take chances" on the returns I prepare they are going to look at many more of the returns I file. I don't want that. You don't want that. The IRS allows me to provide poor service to my clients by preparing tax returns with unsubstantiated claims. I won't do it, though. My reputation with the IRS is too valuable for me to put at risk. I will work hard to get you every single tax break we can get, but when I am representing clients to the IRS I want to be in a position to win. It matters. That's a mouthful, eh? That's the name of a law President Obama signed on 31 July 2015. Even if you heard about it, I am willing to bet you didn't know there are some changes to the tax law in there, did you? There were quite a few changes, actually, but since they don't impact every American it didn't get a lot of attention from the media. 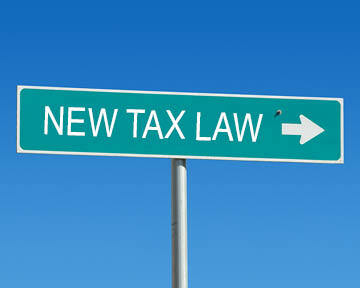 Strangely, tax law changes are not mentioned anywhere in the title of the new law! Change of Due Date for Partnership Returns (Form 1065). Beginning in tax year 2016 Partnership Returns will need to be filed by the 15th day of the third month after the tax year. For nearly everyone that means March 15, 2017. If your partnership's tax year is different from the calendar year it's going to be different. Form1065 (Partnership Return) will still be due on April 15, 2016 for tax year 2015. C Corp Returns Due Date. Just the opposite of the partnership return. The due date was previously March 15, but has been moved to April 15. For corporations that do not use the calendar year as their tax year the due date is the 15th day of the 4th month after the tax year concludes. This change also takes effect for the tax FILING season in 2017. Additional Information on Mortgage Interest Statements. Also beginning in 2017, mortgage lenders will be required to include the address of the property securing the loan, the loan origination date, and the principal balance at the beginning of the calendar year on Form 1098 Mortgage Interest Statement. I am happy about this change. There has been some confusion in the past. Consistent Basis Reporting Between Estates and Beneficiaries. Beneficiaries receive a stepped-up basis in inherited property (such as a house). This means if the house is valued at $300,000 on the date of death, the beneficiary's basis in the property (for sale purposes) will be $300,000. For a while there has been a conflict between the estate administrator trying to keep property valuations low in order to keep estate taxes low, and the beneficiary trying to keep the valuation high so that his basis is high. The new law requires the estate administrator to include the valuation of each individual property with the estate tax return - with copies to the beneficiaries. Note: Due to the (currently) large estate tax exclusion ($5.43 million) estate returns are only required to be filed on the relatively small number of estates exceeding that value. There are, however, some reasons to file an estate return even if it isn't required. Consistent reporting of basis between estate and beneficiary is now another reason to consider filing an estate return even if the estate value is below the requirement threshold. Foreign Bank Account Reporting (FBAR) Dates. If you have more than $10,000 total in overseas banks you have to report it on FinCen Form114. The due date was formerly June 30, but has been moved back to April 15. While that seems like it raises the burden on the taxpayer to get the Form 114 filed, the new law adds (for the first time) the possibility of getting a 6-month extension to file. Like the other laws, it takes effect in 2016 for the 2017 tax filing. There were a few other tax items in this new law, but those are the main points. What any of the new tax provisions have to do with surface transportation or veteran's health care is beyond me. I strongly suspect I would not enjoy a front row seat to see how the legislative sausage gets made in Washington. I prefer things simpler - like putting new tax laws in a bill called The New Tax Laws for 2015 Act. Direct and to the point! If your MAGI is above the applicable threshold amount for your filing status, you will owe the Net Investment Income Tax on Net Investment Income. Note: these threshold amounts are not indexed for inflation, so each year more and more taxpayers will find themselves paying NIIT. Calculating MAGI. MAGI for the NIIT is your AGI plus any amounts excluded as foreign earned income, income from controlled foreign corporations, or income from passive foreign investment companies. Most taxpayers do not have income from foreign sources, so in most cases the NIIT MAGI will just be the same as AGI. Definition of Net Investment Income. Net Investment Income includes interest, dividends, capital gains, rental income, non-qualified annuities, trust income, and passive business income (i.e. limited partnerships). There are a few others listed on form 8960, but the sources of income listed above will cover 98% of taxpayers. If you have other forms of investment income you are probably sophisticated enough to know what they are and their impact on your NIIT. Last, but not least, you have to determine which is the lesser amount - your Net Investment Income, or the amount by which you exceed your MAGI threshold. Let's look at a few scenarios. Don is single and his only source of income is the rents he collects on the dozen houses he owns. He collected $93,000 in rental income in 2014. He had no adjustments to income. His MAGI for NIIT purposes is $93,000. This is below Don's statutory MAGI threshold. He does not owe NIIT. Janice is single and earned $190,000 in salary in 2014. She also had interest income, capital gains, and dividends totaling $36,000. She had no adjustments to income. Her MAGI for NIIT purposes is $226,000. The threshold for her filing status is $200,000, which she exceeds by $26,000. We need to compare that amount ($26,000) to her Net Investment Income, which is $36,000. Janice will have to pay NIIT on the lesser of those two amounts - $26,000. Thomas and Traci are married and file jointly. Thomas earned $140,000 in salary in 2014. Traci earned $155,000 in salary. They also has $1,600 in CD interest. They took a $2,500 adjustment for student loan interest paid. Their MAGI for NIIT purposes is $294,100 [$140,000 + $155,000 + $1,600 - $2,500]. They exceed the NIIT threshold for their filing status by $44,100. Their Net Investment Income was $1,600. They will owe NIIT on the lesser amount of $1,600. Jeff is single. When his father passed he left Jeff a trust that generated $310,000 of income to Jeff in 2014. Jeff had no other sources of income and no adjustments to income. His MAGI exceeds the threshold for his filing status by $110,000. He has $310,000 of Net Investment Income. He will pay NIIT on the lesser amount of $110,000. The Net Investment Income Tax is another reason to get as much of your investment portfolio as possible into tax-qualified accounts where it does not count as income. If you would like some advice on how to do that, come see me. 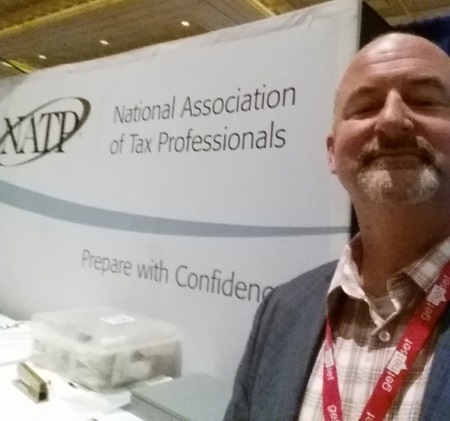 Just spent 2 days at the National Association of Tax Professionals (NATP) annual Forum & Expo at the Rio Hotel in Las Vegas. This was my first time attending this event, but I do not think it will be my last. I had a great time hanging out with my fellow tax nerds, and received my required continuing education credits for both CFP and Tax Pro - delivered by experts in a great environment. And...well...did I mention it was in Las Vegas? My biggest regret is that there were classes I couldn't take because there was not enough time. There were 24 offerings, and only 8 class sessions, so I had to try to be selective. I think I did well, getting some great insights on Schedule C and Schedule E, and a fantastic briefing on how to be the most effective when representing clients before the IRS. I feel very good that I got my money's worth. I did OK at the poker tables, too. Of course, I left the poker winnings at the craps tables, but that's another story. I might be able to write all of that off my taxes, though, because I met a woman from Virginia who had recently started her own cleaning business and was looking for some tax advice. If I had a substantive discussion with her about her tax situation while betting on dice, wouldn't that conversation mean that the gambling was covered as a necessary business entertainment expense? Taxpayers can deduct up to $2,500 of student loan interest from their federal taxes each year by taking an above the line adjustment. Essentially, that means you can take the student loan interest deduction even if you use the standard deduction when you file. Lenders are required to report student loan interest to taxpayers on form 1098-E. If you have mulitple student loans you will receive multiple forms 1098-E. If your total interest payments for the year exceed $2,500 you are out of luck. $2,500 is the cap, and there is no carryover to subsequent tax years. While form 1098-E is quite handy, it may also be misleading. It may not include everything you can deduct as student loan interest. The law allows some expenses to be deducted as student loan interest by the taxpayer, but does not require the lender to report them on the 1098-E.
Loan Origination Fees were not required to be reported as interest on 1098-E for loans taken out prior to Sept 1, 2004. Loan origination fees are typically withheld from the loan when it is secured by the borrower. For example, Tammy takes a $10,000 student loan with a 3% origination fee. The lender only delivers $9,700 to Tammy, and keeps the $300 (3%) loan origination fee. That fee is interest, and can be deducted from your taxes using (according to the IRS) any reasonable method that allocates the loan origination fee over the term of the loan. If the term on Tammy's loan is 10 years, she can deduct $30/year from her taxes as student loan interest due to the loan origination fees. If you are still paying on student loans originating in 2003 or earlier find out if there were origination fees you could be deducting. Capitalized Interest is unpaid interest that is added to the principal of the loan by the lender. This typically happens when loans are consolidated or refinanced - any accrued, but unpaid interest is added to the principal of the new loan. In the bank's eyes that money is now principal, but in the eyes of the IRS it still qualifies as interest and can be deducted in the year it is paid. Figuring the part of your payments that are due to capitalized interest can be tricky. It's a complex math problem I'm not going to try to explain here. Come see me if you have questions about it. Credit Card Interest can count as student loan interest. (Wait!, What!?!) You read that right, credit card interest can count as student loan interest. To qualify the credit card must be used for qualifying higher education expenses (QHEE), and QHEEs must be the only thing on the credit card. If you're using your credit card to fill gaps in your education funding, it's probably worth it to have a specific credit card set aside to use exclusively for education spending. Interest on Home Equity Loans/Lines of Credit can also be written off as student loan interest under the same rules as credit card interest. The expenses must be QHEE, and the only expenses on the loan must be QHEE. If you take out the home equity loan for education, you're good. If you take out the loan for education and a boat, you can't deduct the interest. QHEE for the student loan interest deduction include tuition, fees, room and board, books, equipment, supplies, transportation, and other necessary expenses to attend higher education classes. There are some limitations on who can deduct student loan interest. 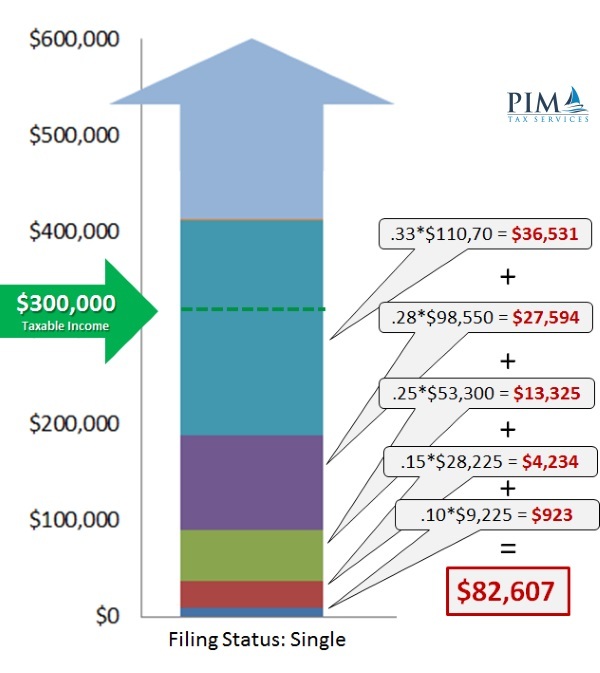 If your filing status is single, head of household, or qualifying widow(er), then the deduction begins to phase out at MAGI of $65,000; completely gone at $80,000. 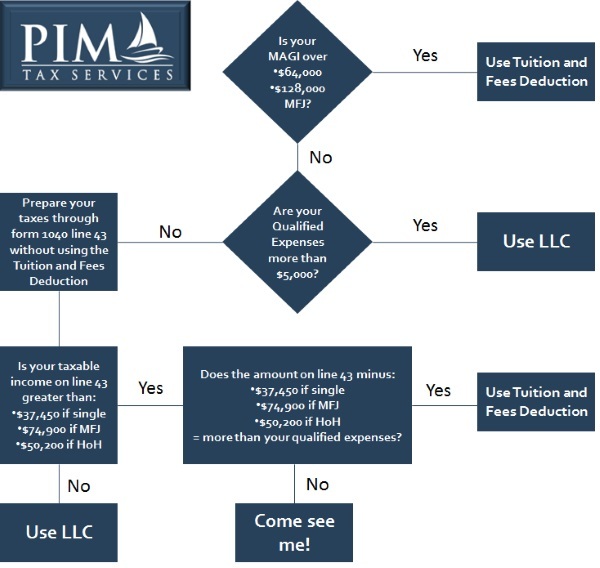 If your filing status is married filing jointly the deduction begins to phase out at MAGI of $130,000; completely gone at $160,000. If your filing status is married filing separately you do not qualify for the student loan interest deduction. If you qualify for the student loan interest deduction be sure you are deducting ALL of the allowable interest - not just what is on your form 1098-E. If you are still planning your college financing, it is worth it to consider all available tax benefits.